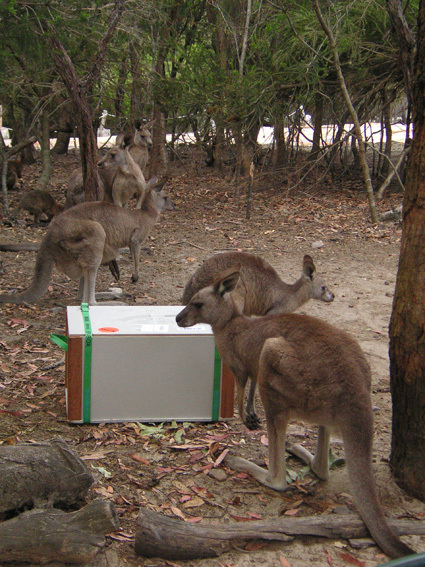 End of September 2009 the bibliobox started its longest journey so far, crossing the equator and e.g. attending the Mangrove Mountain Country Fair in Australia. Neil Berecry-Brown and his Australian network of art and farming. Our box will travel in Australia. In April 2010 it will be back in Europe with pictures and stories, all upside down. The box is ordered by Neil Berecry-Brown, a farmer that is the director of the Mangrove Mountain Country Fair, Brown’s Cows Art Projects and the Gosford Art Flux Forum.